The days of tracking and managing space with Post-it notes and CAD are long gone. New space allocation software allows companies to organize seating assignments, facilitate moves, and see how spaces are being used—all on one interface. Young & Rubicam, the advertising behemoth, and Edmunds.com, the popular automotive review site, have both recently relied on the OfficeSpace Software system during and after big moves. 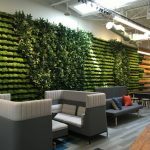 Via email, Andrew Barrett-Weiss, Workplace Experience Manager at Edmunds, Opher Lichter, Worldwide Systems Director at Young & Rubicam, and David Spence, Director of Business Development for OfficeSpace, shared the advantages of using the software. What are some of the immediate perks of using a space allocation and management software like OfficeSpace? Andrew: Edmunds.com is going through a growth period bringing on 5-10 people every two weeks. We’re using the software daily to determine seating assignments, to facilitate moves, and to better organize and plan for our continued expansion. We’re also using it to locate employees, to provide guests with information on where they can find someone, and to keep track of our headcount by location. We’ve also used it to provide information to employees on emergency evacuation routes, allow people to click on links in the directory to reserve conference rooms or connect to a printer from a remote location, and we’re providing photos so co-workers are more easily recognizable in the hallways. When we roll out the Visual Directory™, we’ll allow everyone to use the mapping functionality to find and connect with co-workers across all departments. Because we’ve been able to incorporate a map of all employees across the U.S. it is a much better way for us to visually demonstrate where our employees are based and how they contribute to the company’s footprint. A space utilization report produced with the software. An example of what the Visual Directory tool shows users. David: We make it incredibly easy to track and manage your space from a floor plan perspective. When it comes to facility management tools, we find that companies tend to fall into two categories: some type of paper/pencil/Excel process, or some variation of a CAD-heavy solution. We’ve found that both approaches can be painfully cumbersome. OfficeSpace was designed with an emphasis on user experience. Facility managers can drag-drop their organization to their satisfaction, and OfficeSpace automatically handles move notification e-mails. There’s also Visual Directory, an organization-wide tool that lets people effortlessly find co-workers, or company resources like printers, copiers conference rooms, etc. There are reports, custom integration API’s, and many other layers of functionality, but we have not tried to do everything for everyone. We’ve deliberately focused on a sweet spot of functionality, with the idea that if designed well enough, it will provide real value to organizations, rather than a system that attempts to do everything, but much of it poorly. What trends have you seen across the industry and within the software platform in terms of how people are using the product? Opher: Y&R moved into a brand new facility at the start of 2013, and we used OfficeSpace to plan the relocation of 1,800 people over 4 weekends. We use it on a daily basis for moves, adds, changes, and we put large touchscreens on each floor for people to access the web based floor plans. Y&R CEO David Sable uses OfficeSpace on one of the touchscreens. The company runs the Visual Directory in each lobby as a wayfinding tool for employees and visitors. How did Y&R come to the decision to put a touchscreen on each floor, giving employees access to the web based floorplans? What have been the effects? Opher: The moment we saw the availability of the Visual Directory as an added benefit of the software, we understood the power of what it would mean—both during and after the move. It made total sense to have the Visual Directory as the main content on the screens in every lobby, with any time-sensitive content or messaging being overlaid on top. As we’ve settled in, we’ve been able to add additional information onto the floor plans, such as printer names, conference room phone numbers, and even an “invite” link for each conference room, which sends an email with a link to the map. Does OfficeSpace have ways of measuring productivity, utilization, and engagement in the workplace? Andrew: The reporting functionality has been very helpful in providing a better sense of where there is room to grow and where we are getting tight. We have used the data to supply information to every department head to let them know where they can move to if they need to accommodate expected (or unexpected) headcount growth. This has provided more transparency to our managers so that they can better plan for their own department’s upcoming growth and also provided a better framework for thinking about what it means to expand. We use the software to make decisions all the time. And because it’s so easily accessible, our decisions are made faster and we’re able to be more flexible and responsive. We’re all trying to figure out how we got along without it.